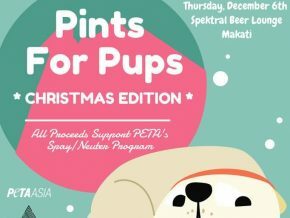 It's the season of sharing once again, and a perfect way to give aid to our stray furry friends is through PETA Asia's Pints for Pups Christmas Edition--a beer tasting benefit event for the animals' spay and neuter program. 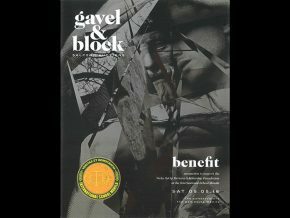 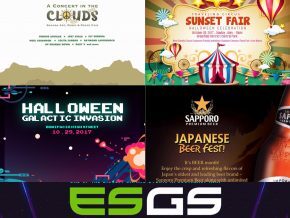 It's happening on December 6, 2018 at the Spektral Beer Lounge, The Beacon Makati. 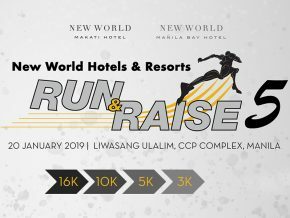 New World Manila Bay Hotel and New World Makati Hotel will be holding the annual charity fun run, Run and Raise 5 on January 20, 2019, at the CCP Complex Grounds, Pasay City. 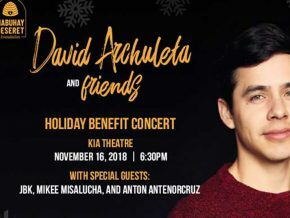 David Archuleta and Friends: Holiday Benefit Concert on Nov 16! 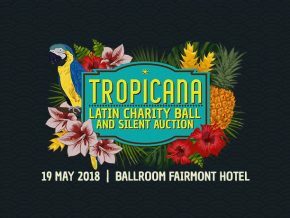 This holiday season, join American Idol alumni, David Archuleta & Friends at the New Frontier Theater on November 16, 2018, for a Holiday Benefit Concert hosted by Mabuhay Deseret Foundation, Charity Vision, and Ovation Productions. 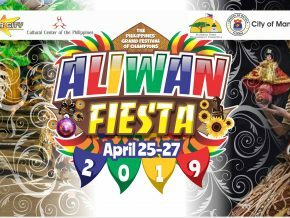 Together with the Department of Foreign Affairs (DFA), the Diplomatic and Consular Corps and the Spouses of the Heads of Mission, the International Bazaar Foundation Inc. (IBF) brings you the 52nd International Bazaar showcasing local and international products for the benefit of the needy. 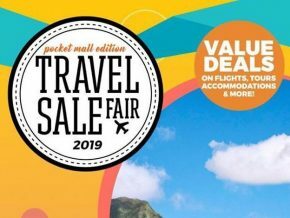 At the International Bazaar 2018, shop for a cause and help build hope for families, children, women and the needy. 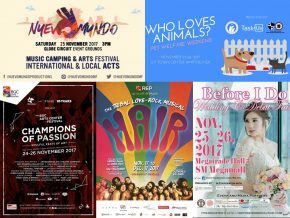 Catch the 2018 International Bazaar at the Philippine International Convention Center Forums 1, 2, and 3 this coming November 25, 2018! 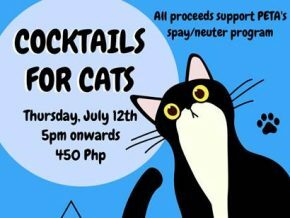 Help save cats and dogs by joining Cocktails for Cats, a cocktail night to help save animals this July 12, 2018 at Batala Bar, Makati City! 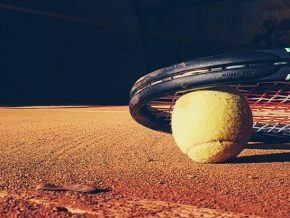 Support Filipino women and children in need through a healthy competition of tennis. 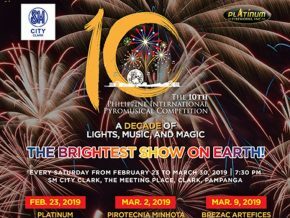 Bring a lover or go solo with these concerts on Valentines Day. 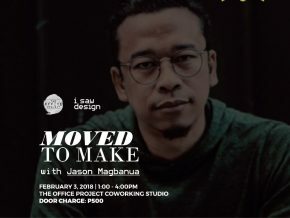 If you're looking to learn from and meet Jason Magbanua, make sure you reserve your slot for tomorrow's Learning Series. 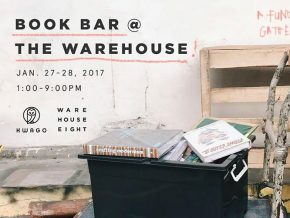 Sales from the bookstore and bar directly help fund a book bar at La Fuerza. 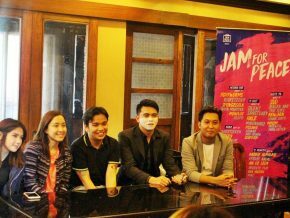 Set on Thursday, February 15, 2018, 8 pm, at the Music Museum, Greenhills Shopping Center, San Juan City, this fund-raising event is for the benefit of Project MMARIA, the MMCAA’s Quick Response to Calamities mobilization initiative. 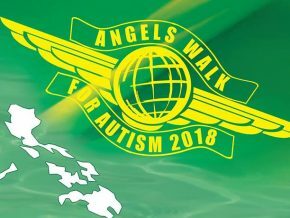 Include the Angels Walk for Autism 2018 on your list of good deeds next year! 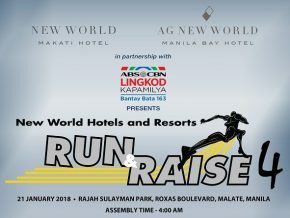 This charity fun run will take place on January 21, 2018 at the Rajah Sulayman Park, Roxas Boulevard, Malate, Manila. 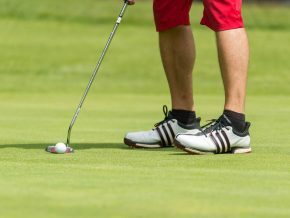 You improve not only your cardio, but also uplift other people's lives. 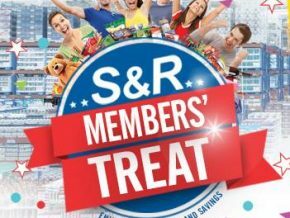 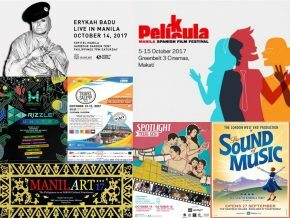 Welcome the Ber months by making the most during weekends, visit art galleries, watch live shows and even learn some Nihongo. 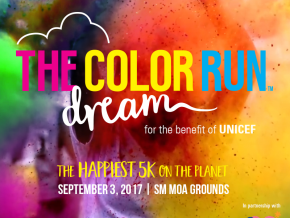 Color Run Dream 2017- The Happiest runaway in the Metro is taking place in Manila this September 3 2017! 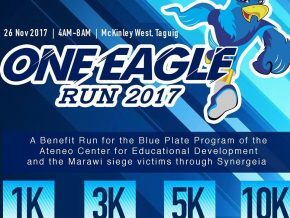 We may be in different archipelagos, but we are one as a nation. 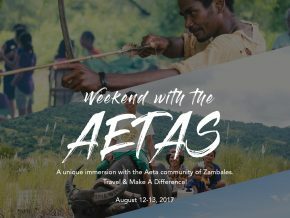 See world-class Filipino talent and micro-entrepreneurs in one place at the MaArte at The Pen! 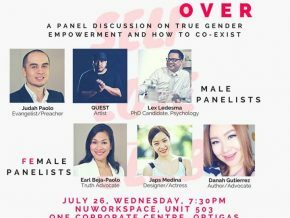 This event aims to elevate the discussion on our respective responsibilities as men and women, including the challenges, the compromises, and the beauty of co-existing.